Property hunting can be overwhelming, especially if it’s your first time buying. 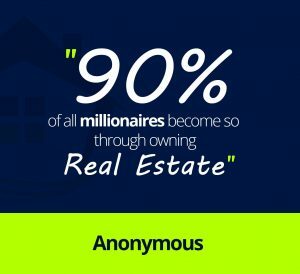 Did you know that real estate can make you a millionaire? Also, did you know that investing in property is a lot simpler than you think? There are no complicated steps you need to take. As long as you’ve got your finances sorted out, you can start doing your research to find the right property. Unlike shares, real estate offers you more guarantee that you won’t lose money. Just because you’ve bought another home or an apartment doesn’t mean you should live in it. The property can serve as an investment instrument with incredible returns in the future. For example, you can make money off your property by renting it out. You can either take on the task yourself or leave it to developers such as Clifton Homes to manage for you. This is an especially useful way to earn money on your investment while you focus on other important things. This is similar to buying shares in a company and having it managed by a stock broker. You can use one or more mortgages to buy property. A mortgage is a debt investment, whereby the borrower is expected to pay back with a predetermined set of payments. Mortgages come in many forms: with a fixed-rate mortgage, the borrower pays the same interest rate for the loan. If market interest rates rise, the borrower’s payment does not change. If market interest rate drop significantly, the borrower may be able to secure that lower rate by refinancing the mortgage. With an adjustable-rate mortgage, the interest rate is fixed for an initial term but then it fluctuates with the market interest rate. Mortgage providers in Ghana include GHL Bank, Stanbic Bank, Republic Bank and Fidelity Bank among others. Here’s more information about mortgages. Buy from developers. There are no commissions when buying from a developer and prices are low compared to buying from an agent. Also, buying your properties from developers especially lands, are safe because they are litigation free. Many people buy property from disreputable sources and often end up in court settling disputes over ownership. Land litigation particularly has become very rampant, causing troubles within and among families, communities, ethnic groups all over the country. Land disputes have ruined the lives of many Ghanaian, with some of them losing their lives. If you want to play it safe and avoid confusion over boundaries, then you’ll have to buy from developers and other reputable sources. Nearly all lands in Ghana are sold as leasehold, meaning the properties are held by lease. Leasehold lands are owned by individuals and companies. A leasehold is a reversionary interest in land and will eventually revert to the freehold owner at some point. A freehold means, outright ownership of the property and land on which it stands. Mostly freeholds are owned by chiefs, skin and government. A freehold estate in land (as opposed to a leasehold) is where the owner of the land has no time limit to his ownership. Whilst a leasehold property has a limited duration. In Ghana, the maximum ownership duration for expats is 50 years and for locals is 99 years. In buying a property, agents are very important because they act on your behalf, in negotiations and dealings with the third party. For instance, when buying a land, home or apartment, they give you many options to choose from. Agents make the search process easier for people who are looking for property. They do all the leg work and present options to seekers. When it comes to property owners or people who are selling or renting out property, agents facilitate a faster process by showing the property to seekers and helping owners to sell faster. 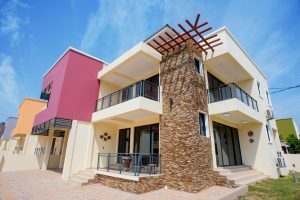 Generally, buying property in Ghana is recession proof. For instance; a property with strong cash flow can ride uncertain times such as during a recession for the simple reason that it meets a basic housing need. Ghana has a massive housing deficit so real estate will continue to be in demand regardless of a recession. People will always need a place to live, even during difficult times and this is where you can rent out your property. Even in times of recession, people will forgo other luxuries to have shelter over their heads. Collateral is a property or other asset that a borrower offers as a way for a lender to secure the loan. For example, owning a property can help you acquire a loan. 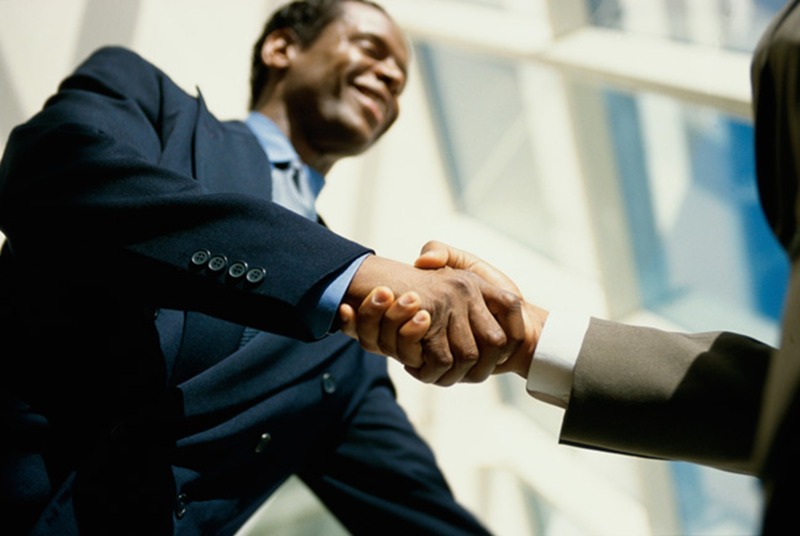 In Ghana, you can buy a property and subsequently use it as a collateral for a loan for more properties or a business. Real Estate is a valuable investment tool in this regard.